As you know, a lot of the stories on TGN revolve around Kickstarter campaigns launching. But my favorite types of stories are "Product now available," particularly if they were funded via Kickstarter. To me, that's the true completion of a campaign. They ran it. They funded. They shipped product to backers. Now it's available for the rest of us. That's just the case with the Insight Fantasy RPG Core Rulebook. Insight Fantasy changes the formula on traditional RPGs by letting the players have a bit more leeway in creating the narrative for the story. Doing something "unexpected" that the DM hadn't prepared for is more expected and more easily-handled within the rules. 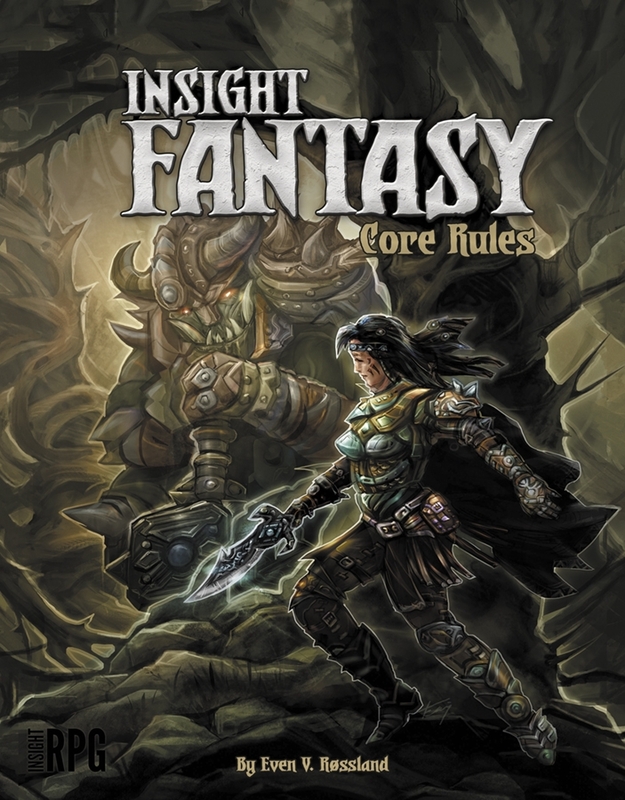 This core rulebook features the core rules for the game (as you'd expect), including character generation, skills, actions, weapons, armor, equipment, spells (arcane and divine), psionics, and alchemy. Get your copy now in either electronic or printed formats (both hard and softcover available). There's even special pricing right now.